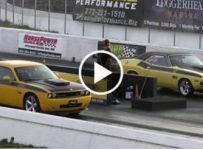 Wild Big Tire Camaro Crash, Out of the Groove and into the Wall! No matter how safe a racetrack is, there is one thing that everybody should keep in their head, Motorsport Is Dangerous, and there are no two ways about it. Believe us, after seeing numerous times how much effort, work, blood, sweat, tears, and love goes into building a racing car, the last thing we want to happen is a crash, since we have been there when people have been working on racing cars, and we have been there when that disappointment from a crash hits the entire crew. 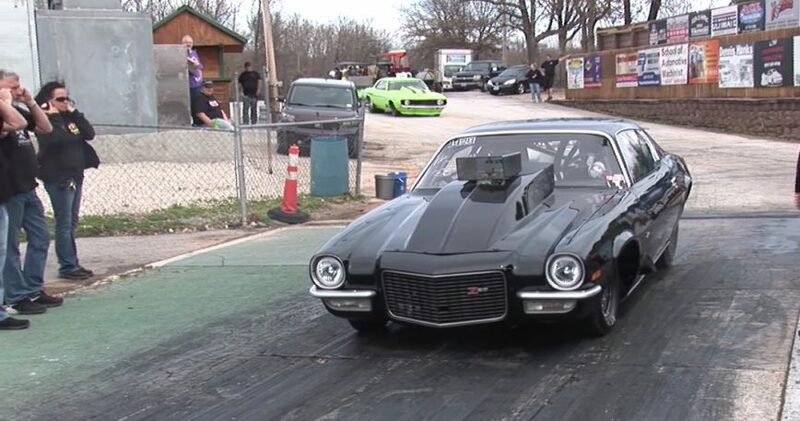 This time the unfortunate video is of the team of the Memphis Street Outlaws, and their very special and very fast and powerful “Menace Camaro” which about halfway down the track, gets loose and after what looked like a great save by the driver, it slams into the barrier resulting in a bunch of sleepless nights for the mechanics, along with a sizable bill. Check out the video and hope that they will get that fixed in no time and get that machine back on track soon.